This week marks return of both Friday Freebie and Forgotten Fridays mixed all into one! 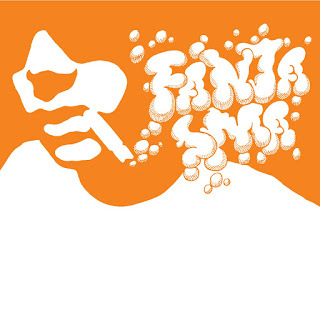 Cornelius' 1998 album, Fantasma, is one of the greatest albums recorded in the 90s. It's absolutely ridiculously great. Despite this, it's one of those albums that I seem to forget about for a year or so at a time, and then hate myself for forgetting it. It also never seems to get mentioned in any "Best of the 90s" lists, which is criminal. It's a crazy blend of electronic elements (while still being done with actual instruments). It's basically if Beck and the Beastie Boys decided to be weird. Fantasma is FINALLY being remastered and reissued on June 10. To remind people of how truly great it is, they've issued a three song sampler for free via Noisetrade. It's only three songs, but it's three absurd songs. Even if you've never heard of Cornelius, if you have kids you'll recognize "Count Five or Six" from Yo Gabba Gabba. Seriously, do yourself a favor and download this sampler now, and then get a copy of Fantasma on June 10. For more information on Cornelius, check out his website.